And the Winner Is…My Book; Now, How Much Do I Owe You? What newly-published Young Adult novelist doesn’t want to see this in her email inbox? The Dante Rossetti Awards recognize emerging new talent and outstanding works in the genre of Young Adult, T’weens, New Adult, & Children’s fiction. The First Place Category Winners will be recognized at the Chanticleer Authors Conference and Awards Gala held in late September 2015. See my book? I highlighted The Flying Burgowski in red just to make her stand out. This is great news. I’m totally bragging on myself announcing this to everyone I know. Good Luck to the Dante Rossetti First Place Category Winners as they compete for the Dante Rossetti Awards 2014 GRAND PRIZE position! 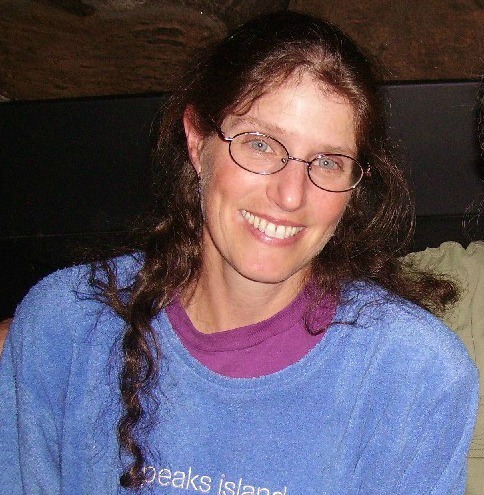 The 2014 Dante Rossetti FIRST PLACE category winners will be recognized at the Chanticleer Authors Conference and Awards Gala that will take place in September 2015. The Dante Rossetti 2014 Grand Prize winner will be announced at the Awards Gala. But there’s a teensy catch: $$$$. I won’t go into details about how much this conference costs, even with the discount given to winners. I can’t fit a weekend conference into my current work schedule, so I’m thinking of just attending the final day, with the cocktail party and awards gala…and even that price tag makes me choke a little. I know, I know, these events are expensive to put on. And I really can’t pass up this opportunity for mainstream exposure for my book. And I’m super excited and grateful for being chosen. It’s just…yikes. That’s a lot of money for one day. And I can’t help but notice that the organizers have misspelled Dante Rosetti’s last name on their invitation. Makes me a little uneasy. My question for Wing’s World, then, is: should I attend? Anyone have any experience at these events? Worthwhile? Bad idea to miss? Missable? I would love some input here. I don’t often reblog. In fact, I think I’ve only done it once. But this is too good to pass up. 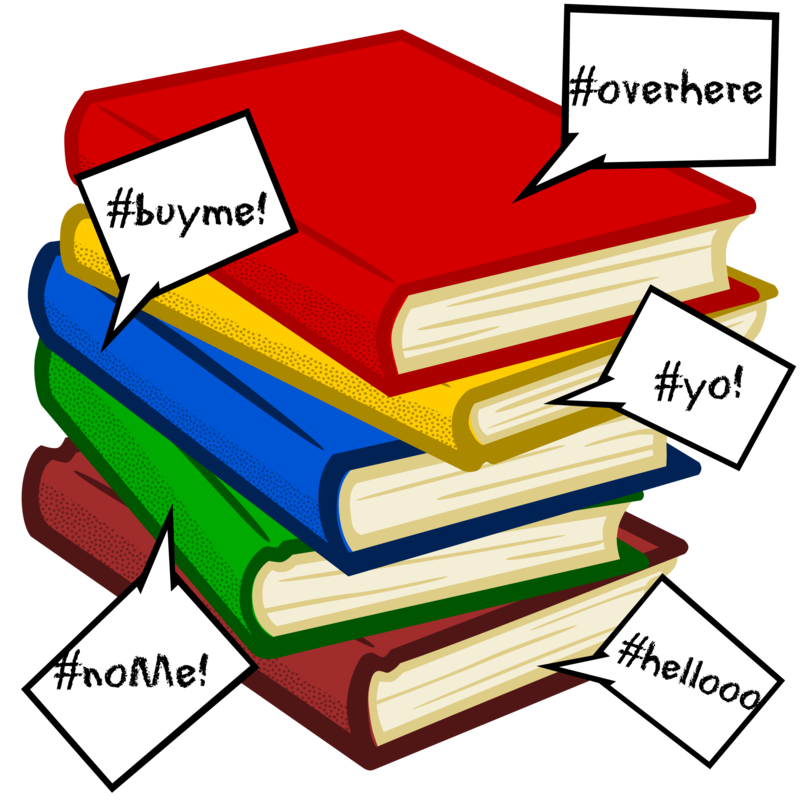 In one post I can promote my fellow Indie authors of middle grade fiction AND offer my fellow readers (or parents of readers) a truly magnificent deal. 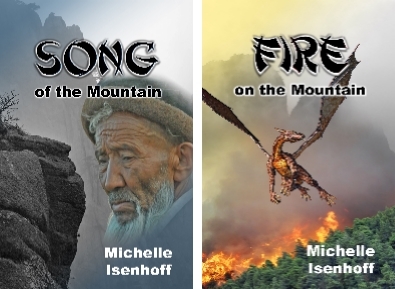 Take it away, Michelle Isenhoff of Emblazon! Many of you know I’m a member of the Emblazon authors group. We have a really big, really awesome celebration going on right now. We’re giving a way a Kindle loaded with 50+ books. Today is the first day to enter. I can’t embed the actual Rafflecopter here on my freebie blog, but this is a link to the giveaway sign-up. The info from the Emblazon wesite follows. Good luck! 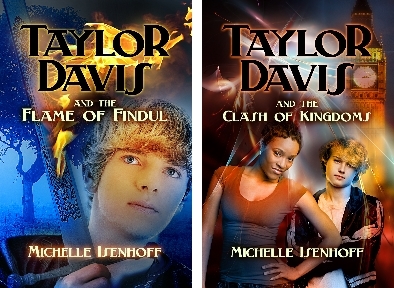 A modern-style friend of mine (meaning someone I’ve only met online, although we seem to share a great deal) recently paid me a big compliment: she featured my novel on her blog about books for Tweens, Bookworm Blather. Since Michelle Isenhoff has over 3,200 book-loving followers, this is a great shot in the arm for me and The Flying Burgowski. Book One now available FREE on Kindle and Nook! and I found them to be strong examples of the classic Quest book for young readers, along the lines of The Black Cauldron, mystical enough to intrigue, but peopled by real-life characters with real-life yearnings. Book One also now available FREE! Michelle did not tell me she was reviewing my book until after she was done, and frankly, I was pleasantly surprised at the positive review. Gretchen has a natural talent—a very distinctive voice, great timing and a good punch, creative imagery, and a super sense of humor. I absolutely loved the story. And I have to admit, I didn’t see the ending coming. I was surprised, not because I doubt my own writing chops–people, please!–but because the one area in which Michelle and I differ widely is in the political. Bookworm Blather is a blog that tends to promote “clean” books for kids–no sexual situations, no profanity, and, as far as I can tell, no gratuitous violence. Profanity–or, as reviewers diplomatically put it, “language”–this can be one of those parental red flags. I struggled with the decision to include swearing in my book, which I knew was aimed at ages 11 and up. In the end, the artificiality of non-cussing teenagers just seemed too weird to stomach, so I minimized the blue language, made fun of it where possible (“But at least he did say ‘frickin’ this time”), and, when I deemed it necessary for authenticity, I used dashes (s—, f—) and let folks deal with it as they’d deal with profanity in real life. Notice how she walks the line? The warning is there, but couched in very non-judgmental terms. “Mild,” in fact, bends over backwards to reassure. I wish all reviewers of “clean reads” would do the same. Full disclosure: as applied to books, “clean” is a red-flag word for me. I dislike gratuitous sexual scenes, profanity, and above all, violence probably as much if not more than the next reader. There are certain scenes stuck in my head–some written by Stephen King excellent authors, that I wish had never been written so that NO ONE would have such images in their gray cells. But sometimes bad stuff happens to good people, and they have to deal with it. In my book, a character the protagonist is close to is almost raped. To depict that scene without profanity would be to scrub it of its full horror. Not to write that scene at all would be to soften the harshness of the world in which my heroine must learn to operate. She has a pretty good life, actually. But millions of kids don’t. I like to think I’m writing for them–as well as for those kids who might not be able to relate, but need to learn empathy for those less fortunate. Speaking of fortunate, I feel lucky to have “met” someone who can get beyond the red flags in the world of literature. Do you have literary red flags? Are there certain “types” of books you find yourself avoiding because you think they will rub you the wrong way? Or…how do you feel about profanity in young adult literature? Go ahead–Wing’s World is open for comment. 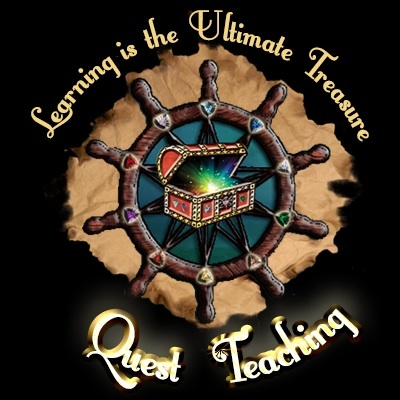 Quest Teaching: Know an Independent-Minded Teacher? First, a word about the weather: WEIRD. Depending on where you live, this word means different things to you, but you can relate nonetheless. Since I’ve been driving around the country for the last 5 1/2 weeks, I’ve seen all types of weird. California drought suddenly doused by mega-rainstorms. 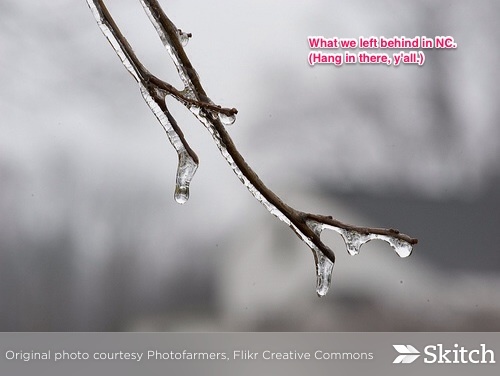 North Carolina suffering wave after wave of ice storm. (Can you say “firewood”?) And now here we are zipping through America’s heartland under sunny skies while states at lower latitudes to our east and south are running out for more de-icer. How can any American doubt climate change? We’re like the poster child! And now, a completely different topic: lesson plans. 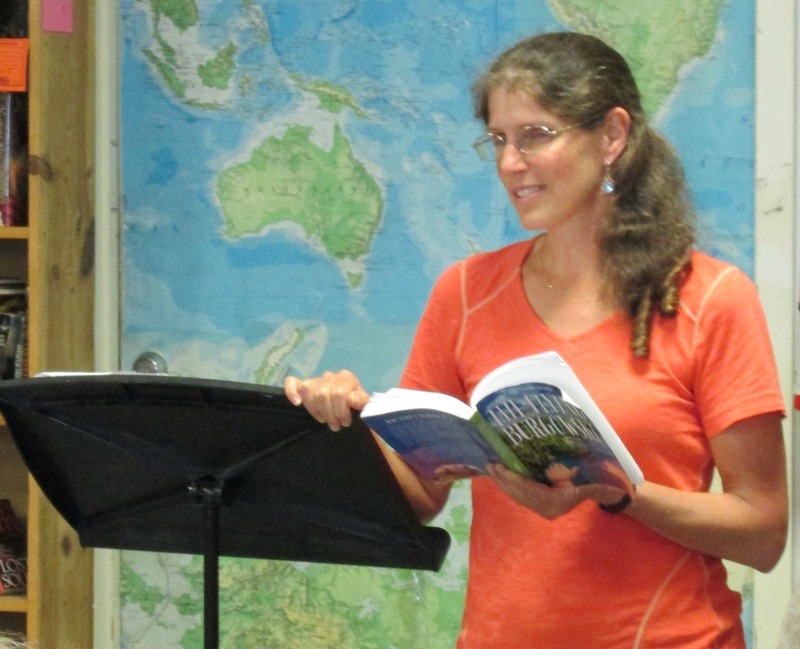 So you can imagine how my pulse quickened when I heard about Quest Teaching. 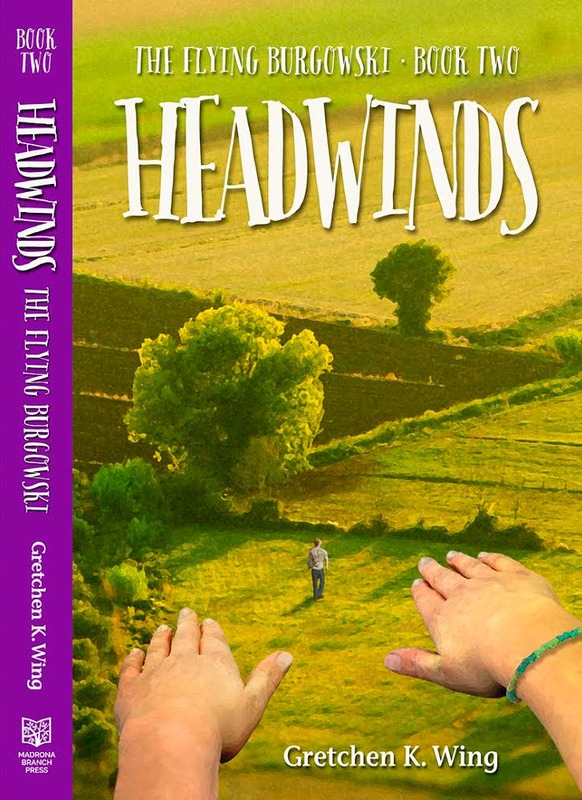 This is a site started by tween author Sharon Skretting to provide teachers with lesson plans based on brand-new fiction–lesson plans written by the authors themselves! Author? Teacher? Hey, they’re playing my song! 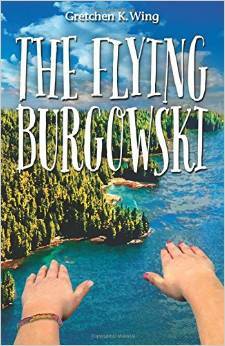 At first I was doubtful when Sharon invited me to write a lesson plan using my middle grades novel, The Flying Burgowski. It’s fantasy, after all–not wizards-or-vampires fantasy, but still: it’s about a girl who can fly! Sure, it’s a great read, but…a lesson? About what? Then I thought about it. My heroine, 14 year-old Jocelyn Burgowski, may have a superpower, but she lives very much in the real world. And her real world includes a mom who is a mess. Joss’s mom functions with apparent normality until stress catches up to her and she devolves back into dependency on alcohol and prescription drugs. Dark topic for middle grades readers? Yeah. Also nothing terribly out of the norm from what I observed in my 20 years of teaching. And I think kids deserve to see their real world reflected, and successfully negotiated, in books written for them. So I took Sharon’s offer. 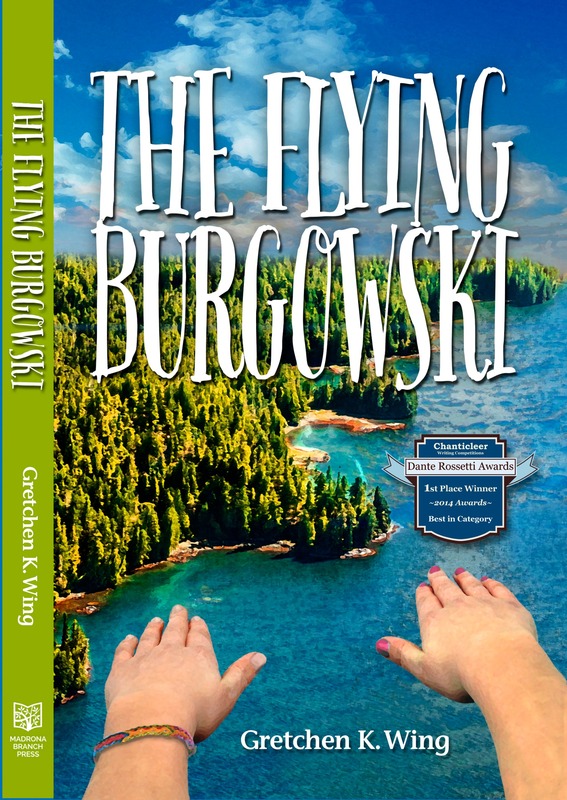 I chose Chapter 12 of The Flying Burgowski, a chapter in which Mom melts down and Joss and her brother have to figure out what to do, and I wrote a lesson plan about finding positive strategies to deal with negative behaviors. I hope a teacher somewhere finds this lesson and uses it. (If you’re that teacher: the book is free, with copying privileges.) If not my lesson, I hope a teacher goes to Quest and tries one of the many and varied lessons there. For example: Michelle Isenhoff’s lesson about using primary sources with her Civil War-era novel,The Candle Star. Or Lars Hedbor’s lesson using his Revolutionary War novels. Or Sharon’s own Jewel of Peru. Makes me want to teach again! Or be a student. I know that many (most?) teachers have little wiggle room when it comes to choosing their own materials. I know that there is no shortage of safely tested literature out there, used year after year to good effect. But I also know how many students are budding writers themselves and how thrilled I would have been, as a student, to know I was reading a chapter by a writer I could email with questions. A writer who was interested in MY learning. A writer who might encourage ME. That’s why I’m psyched to be part of Quest Teaching, and that’s why I have no problem asking you to send this link to any middle grades teacher, student, administrator or librarian you know. Let’s see where this takes us, shall we? Life is, after all, a Quest. Also, if you know any other middle grades authors who might be interested in participating, please put them in touch with me! Road Trip IV, Days 14-16 : Dallas to Natchez Trace State Park, Tennessee. The Flying Burgowski is launched! But today is Jocelyn Burgowski’s day. So I’m going to close here with the link where you can check my book out further. And this question: do you think a book IS like a baby? Why/why not?